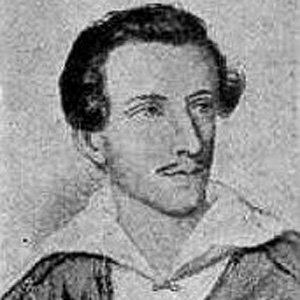 Polish Romantic dramatist and poet known for Kordian, Beniowski, and other works. Over the course of his career, he wrote more than two hundred poetic works and twenty-five plays. He was raised in Kremenets and Vilnius and held a temporary governmental position in the Kingdom of Poland. He took political refuge in France during a turbulent time in Poland's history. He never married, and he died in Paris of tuberculosis at the age of thirty-nine. His mother hosted a literary salon where a young Slowacki met Adam Mickiewicz. Mickiewicz was the first of Polish literature's "Three Bards," a group in which Slowacki himself would later be included.